In a bid to ensure it has a solid pipeline of younger financial advice clients, Bank of America is putting hundreds of advisors assigned to its digital advice offerings into traditional wealth management branches, according to news reports. The company will assign 300 of its “financial solutions advisors” to Merrill Lynch Wealth Management branches in major U.S. cities, according to the Wall Street Journal. Bank of America uses the FSA designation for advisors working at Merrill Edge, the firm’s self-directed online investment service, according to the company’s website. Merrill Edge accounts have low or no asset minimums, compared to the $250,000 typically required to open a traditional Merrill Lynch account, the paper writes. Until the recent move, FSAs only worked out of Bank of America branches and call centers, according to the Journal. Moving the FSAs to work alongside traditional advisors could help the company hold on to their clients’ young family members who don’t yet meet the Merrill Lynch minimums and could opt for a robo-advice offering outside the company otherwise, Kirstin Hill, strategic performance executive at Merrill Lynch Wealth Management, tells the paper. 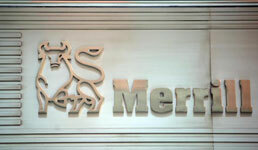 The move could also help Merrill Lynch diversify the ranks of its traditional financial advisors, according to the Journal. FSAs are typically younger and more diverse than Merrill Lynch advisors, Aron Levine, who oversees Merrill Edge, tells the paper.